Updated 4 p.m. with seating and ticket information. 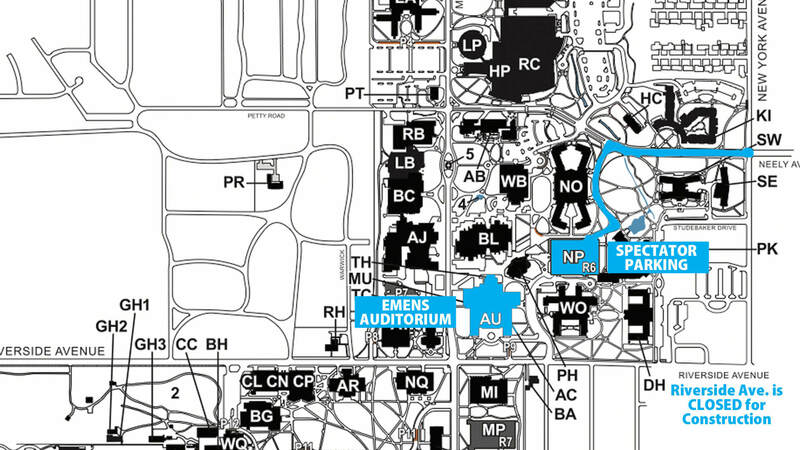 For audience members planning on attending the show, parking has been moved to the Emens parking garage. To access this garage, vehicles should enter off Neely Avenue. The Riverside Avenue entrance will not be accessible due to construction and road closure. Parking for this garage is free of charge after 4 p.m.
Spectators should enter the auditorium through the doors off McKinley and Riverside Avenues. Seating will be first-come first-served, with a portion of the auditorium balcony reserved for premium ticket holders. 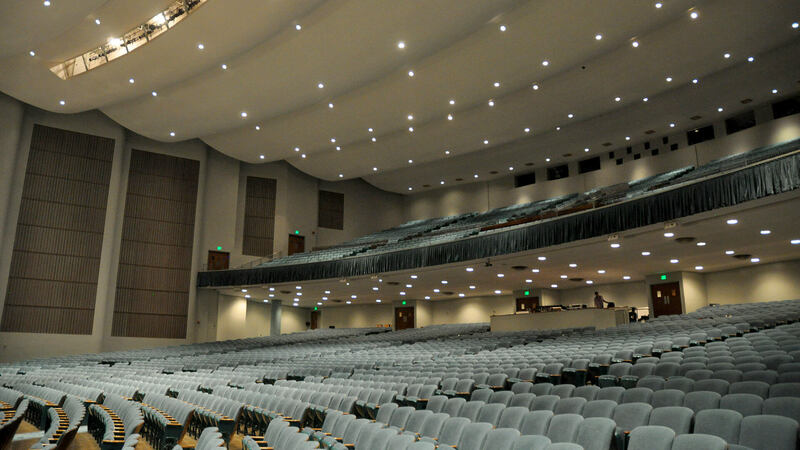 Individuals who purchased Premium seating (Sections C, D, or E on ticket) should proceed to the balcony level of the auditorium while those with Super seating (Sections A, B, F, or G on ticket) should proceed to the lower level of the auditorium. Will Call will be located at the Emens Auditorium Box Office. Please have your photo ID ready to pick up the tickets. For individuals wanting to purchase tickets, there will be limited seating based on availability starting at 7:30 p.m. The tickets can be purchased in front of the Emens Auditorium Box Office and will be $30. Tonight’s webcast on the DCI Live! streaming video platform will continue as scheduled. While the broadcast’s start time will remain the same, corps performance times are subject to change. Further updates will be posted here should more information become available.